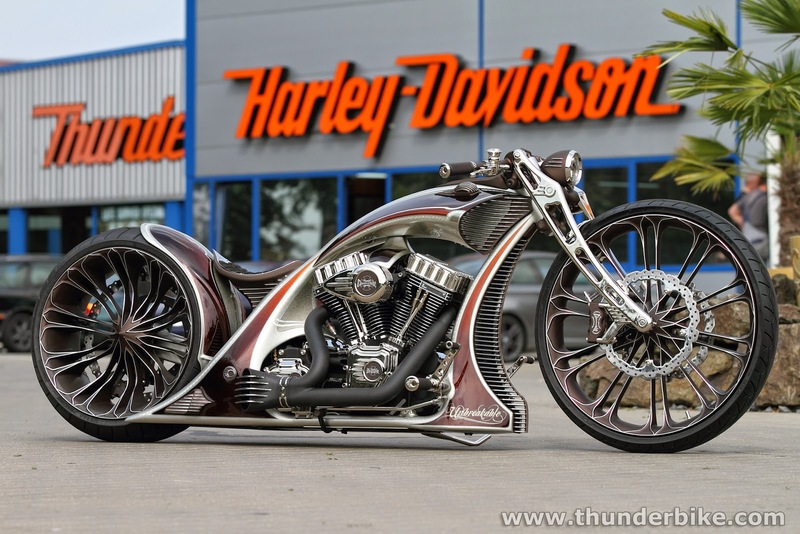 After the success in 2013 of the gorgeous motorcycle modification project named 'The Unbreakable'. The results of this project successfully won many honorable titles such as the Best Custom & Best in Show at Arneitz and the 1st Place at the European Bike Week in Faak, both in Austria. As one of Germany's most astonishing custom bike builders, Thunderbike has shown their recent work in 2014 that uses a unique suspension, and was named 'Breakout Thunderbike TB-R'. 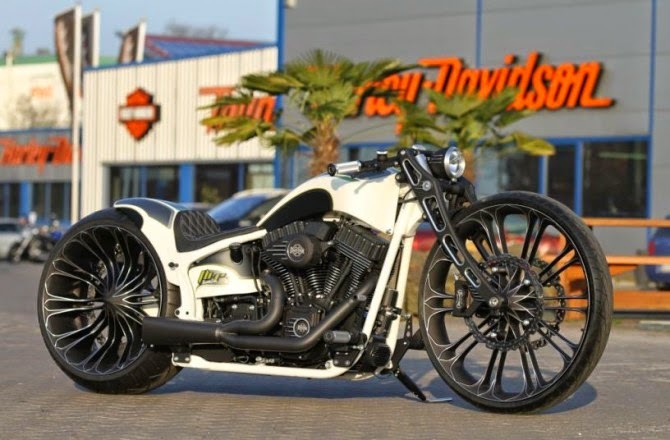 According to Andreas Bergerforth, Thunderbike boss by showing recent work in the form of the custombike with softail frame ie unique front suspension with the trapeze models. Thunderbike even will produce it in a limited number of those who are interested to have it. Motorcycle chassis was performed with a forward rake of 36 degrees which is installed the Trapeze suspension was wearing a gorgeous 26-inch alloy wheels. Then the tank to the rear fender design tailored to the unique shape of this trapezoidal suspension models. So that the shape is so exclusive and elegant.